If you haven't heard of Ed Sheeran, then you are in luck—you are about to be introduced to one of the hottest singers in the we world today. But don't take my word for it, his music charts record says it all. In an unprecedented sweep of the music charts, Ed Sheeran has taken over the UK singles charts. I mean really taken over! Sheeran's chart dominance clearly reflects his phenomenal popularity and captivating music. The news was a shock, even to him. 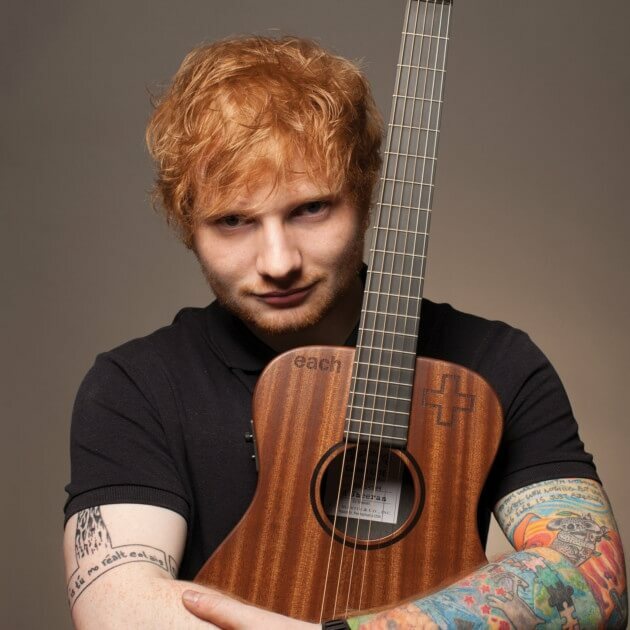 The British singer-songwriter Ed Sheeran learned that he has not one, not even two, but a record-breaking nine songs in the U.K.’s official top 10 singles chart. And if that wasn’t enough, he has 16 in the top 20. Can you believe that? Each of the chart topping songs are from his new album, Divide. The ground breaking album was only released earlier this month. And yes, it has 16 tracks on it. In other words every song on his album made the top 20! So are we Ed, So are we. Currently Hit single Shape of You sits atop Billboard’s Hot 100 chart. Mega record sales for the talented Brit. Sheeran's Divide album sold 672,000 copies in the U.K in its first week, making it the fastest-selling album by a male artist there. Only Adele’s 25 and Be Here Now by Oasis sold more in their first seven days of release. One of the most amazing thing is how Sheeran is handling it all so calmly, when he's literally sitting on top of the music world.